His Highness Sheikh Mohammed bin Rashid Al Maktoum, Vice President, Prime Minister and Ruler of Dubai, honoured the winners of the 18th edition of the Arab Journalism Award at a ceremony held at the conclusion of the Arab Media Forum (AMF) 2019. 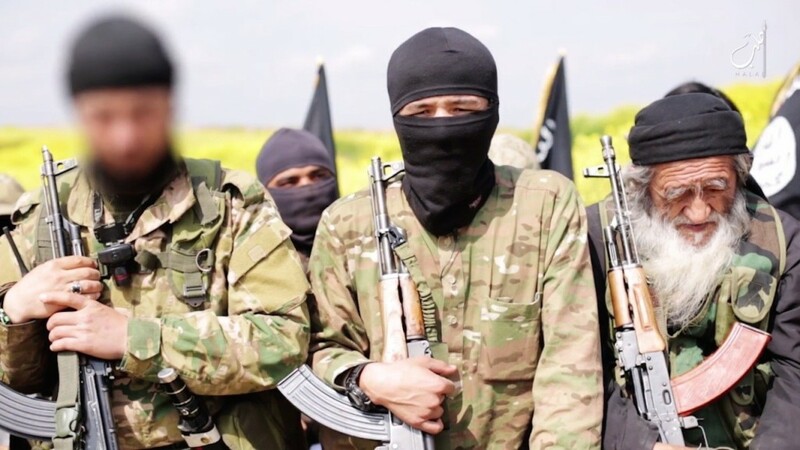 H.H. Sheikh Maktoum bin Mohammed bin Rashid Al Maktoum, Deputy Ruler of Dubai; His Highness Sheikh Mansour bin Mohammed bin Rashid Al Maktoum; and Mohammad bin Abdullah Al Gergawi, Minister of Cabinet Affairs and The Future, attended the Awards ceremony that took place today at Dubai World Trade Centre. Secretary General of the Arab Journalism Award and Chairperson of the Organising Committee of the AMF Mona Ghanem Al Marri; and Chairman of the Board of the Arab Journalism Award Dhiyaa Rashwan also attended the ceremony, apart from a large number of prominent media personalities and Arab journalists. 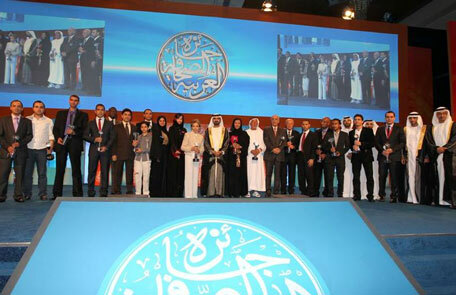 The Arab Journalism Award celebrated excellence in 13 different categories representing print and online media. The award ceremony started with a short video about recent events worldwide. Singer Latifa sang a song on the pain caused by terrorism the world over, whose lyrics were written by His Highness Sheikh Mohammed bin Rashid Al Maktoum. The winners of the Arab Journalism Award represented daily newspapers, magazines, online web portals and media organisations from the Arab world. His Highness Sheikh Mohammed bin Rashid Al Maktoum honored Mohammed Jasim Al Saqr, Founder and Publisher of Kuwaiti daily newspaper ‘Al Jarida’ with the Media Personality of the Year award. His Highness Sheikh Mohammed also honoured Chairman of the Board of Egyptian newspaper ‘Al Masry Al Youm’ Dr. Abdel Moneim Said, with the Best Column Award. Other winners of the Arab Journalism Award include: -Smart Journalism Award: Al Bayan newspaper for using advanced technologies in promoting content. -Political Journalism Award: Al Khaleej newspaper. -Investigative Reporting Award: Assad Alzilzali, Iraqi newspaper Alalam Aljadid. -Cultural Journalism Award: Sayed Mahmoud, Al Ahram Al Arabi magazine, Egypt. -Humanitarian Journalism Award: Eman Hana, from Youm 7 newspaper Egypt. -Economic Journalism Award: Abdulhay Mohammed, Al Bayan newspaper, UAE. -Press Interview Award: Radwan Mabshour, Alayam newspaper, Morocco. -Sports Journalism Award: Emran Mohammed from Al Ittihad newspaper. -Photojournalism Award: Ibrahim Abu Mustapha from Reuters. -Outstanding Cartoonist Award: Yassir Al Ahmed, Makkah newspaper, Saudi Arabia. -Young Journalist Award: Mohammed Mahdi from Masrawi website, Ahmed Alameed from Alwatan newspaper Egypt, and Mohammed Salman, from Youm 7 newspaper Egypt. Since its inception, the Arab Journalism Award has honoured 260 talented journalists in the media industry from across the Arab region.